The Battle For Art! : UNTIL WE ROCK! I am very proud to be delivering this amazing relic of heavy metal history to the world! 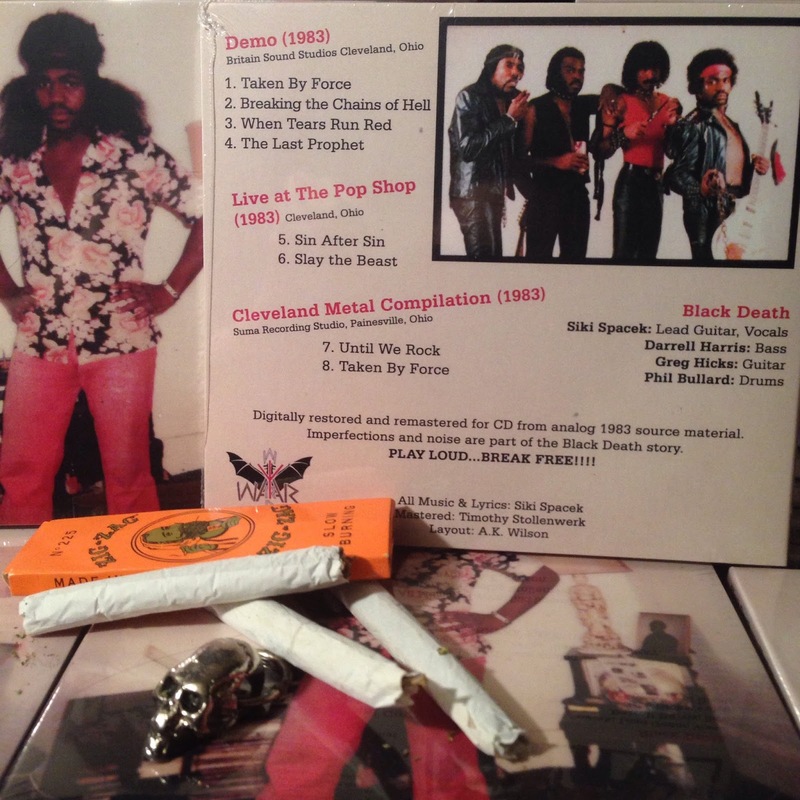 Black Death is widely considered to be the first heavy metal band to feature all black musicians, and this digipack CD collects all of their earliest surviving material from 1983 (before their one and only release on Auburn Records in 1984)! I enlisted the genius of audio engineer Timothy Stollenwerk to digitally restore and remaster this material to sound as amazing as analog demo and live recordings from 1983 can possibly sound. In other words, expect raw unexpurgated noise! Headbangers are in for a real treat! Order NOW! WE POKED AT IT WITH A STICK!